St Louis Aquarium at Union Station is creating an environment that is accessible to all. We are continually looking at ways to ensure all our guests have an unforgettable day out, regardless of ability. Leading up to our opening day late 2019, be sure to check back to this page for more details to help you better prepare for you visit. 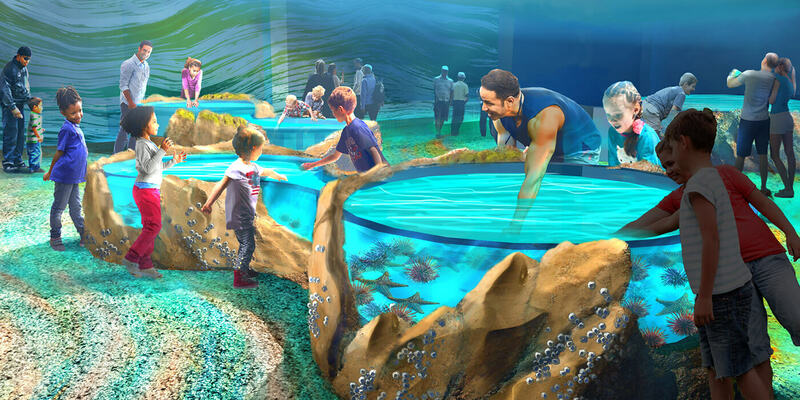 The St. Louis Aquarium at Union Station will be fully accessible for those with limited mobility. Walkways, ramps and elevators will create easy wheelchair, walker and stroller access throughout your journey. 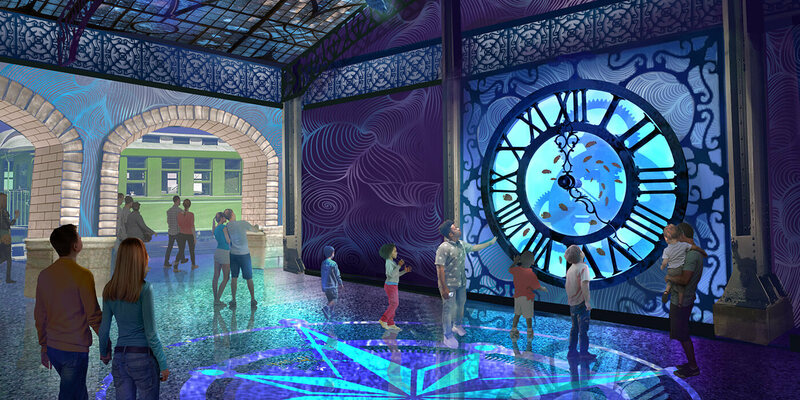 The St. Louis Aquarium at Union Station is committed to opening as a Certified Sensory Inclusive facility. Our team will receive extensive training on how to recognize sensory issues as they are developing and provide assistance as needed. The facility is currently being constructed with a purpose-built sensory room for individuals and families who may need a quieter and more secure environment. We also will have items available for guests who may feel overwhelmed in this stimulating environment. Some examples are noise-canceling headphones, fidget tools, verbal cue cards and weighted lap pads. We are working towards having several areas that allow guests to experience the exhibits through tactile learning. Throughout the journey, we will also have animal interactions and docent carts where guests can touch and learn about our amazing animals. Staff will be available throughout the journey to answer any questions you may have. We are working towards ensuring any auditory experience within the aquarium can be experienced by our deaf or hard-of-hearing guests. While strollers will be permitted, we do encourage guests to leave them behind or store at our Stroller Storage desk located across from the ticketing counter. Outside food or beverage will not be allowed in the aquarium. Food and beverage will be available for purchase from 1894 Cafe, The Train Shed, St. Louis Union Station Soda Fountain, and Landry's. Restrooms will be located at the beginning of your journey on the first floor and on the second floor half way through the experience. Our family/companion restroom will be located on the first floor. All restrooms will include changing tables. 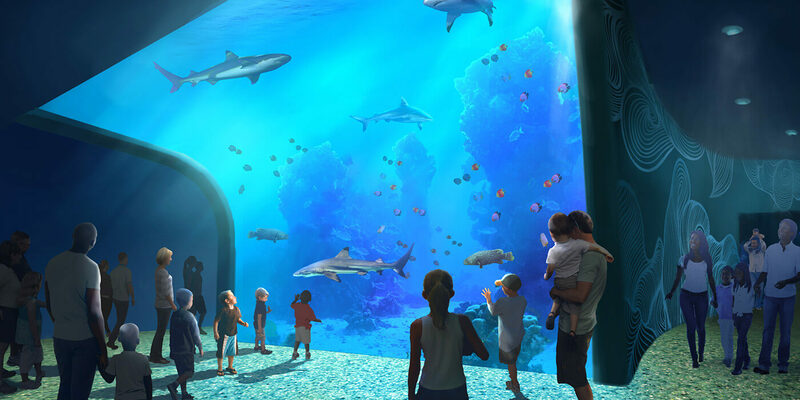 There will be additional restrooms located outside the Aquarium in the lobby. Visitors will be welcome to nurse wherever they are comfortable. A private nursing room will be available in the women's restroom on the first floor. For the safety of our guests, employees, and animals, weapons including firearms and knives will not be permitted inside the St. Louis Aquarium at Union Station. We will reserve the right to search all property for the purpose of determining compliance with our policies.